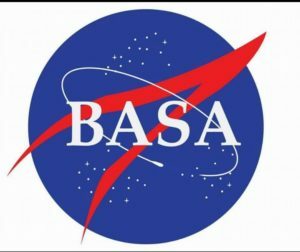 It is likely that hundreds of thousands gathered around televisions and computer screens in Israel alone to watch what they hoped and believed would be a successful landing on the moon. Israel’s privately funded Beresheet (Hebrew for “in the beginning” and the first word of the Torah as well as the name of the first book), was scheduled to land at 10:25 p.m. Israel time. 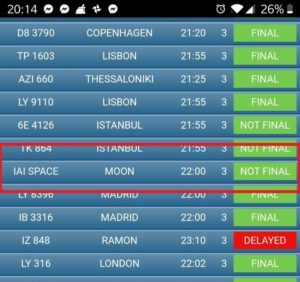 Ben Gurion Airport’s mobile app even included the landing in it’s departure page, indicating that Beresheet was scheduled to land at 22:00 with a destination designated as “MOON”. At the President’s House in Jerusalem, an assembly of children and their parents gathered. At command center, the Prime Minister and his wife, the US Ambassador to Israel and his wife, and other dignitaries gathered. Within a short while, we were treated to Beresheet’s final selfie before landing. Minutes later, the trouble began. First communication was lost with Beresheet, Israel’s first attempt to land a space craft on the moon. The command room, guests and a nation watched as communication was restored, only to hear that the main engine had failed. Technicians frantically tried to restart the system. That too was successful, but other systems failed. The approach speed was too fast…in minutes it was all over. “It wasn’t the landing we anticipated,” it was announced. And then, calmly, the speakers began to not only accept the loss, but celebrate the success and the accomplishment. No, we didn’t exactly land on the moon as expected, but we did get there. Even as the Prime Minister walked up to the microphone to say a few words, someone said, “better luck next time” and people laughed. Yes, indeed. It wass an amazing thing to watch and truly something very Israeli. Without a doubt, we could have been embarrassed, upset, devastated. The one reaction that came so naturally was one that I wouldn’t have expected in advance. Israel celebrated and laughed. Millions of dollars wasted? Not even close. Mission almost accomplished and in a world of science, that’s huge. Within minutes, the speakers rallied and focused on the positive. 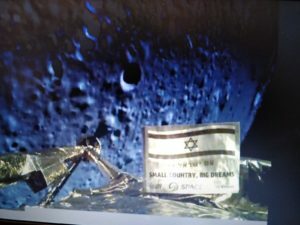 Israel HAS successfully become the 7th country on earth to successfully orbit the moon. And, Israel has successfully become the 4th country on earth to land on the moon, not once, but thousands of times. That was the joke my son came home with tonight. But there were others. 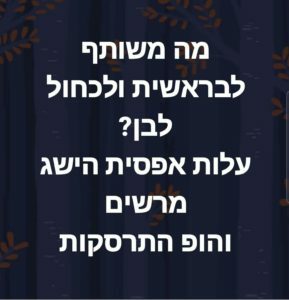 What does Beresheet and Kachol Lavan have in common? Low budget, great achievement and…oops…crash. 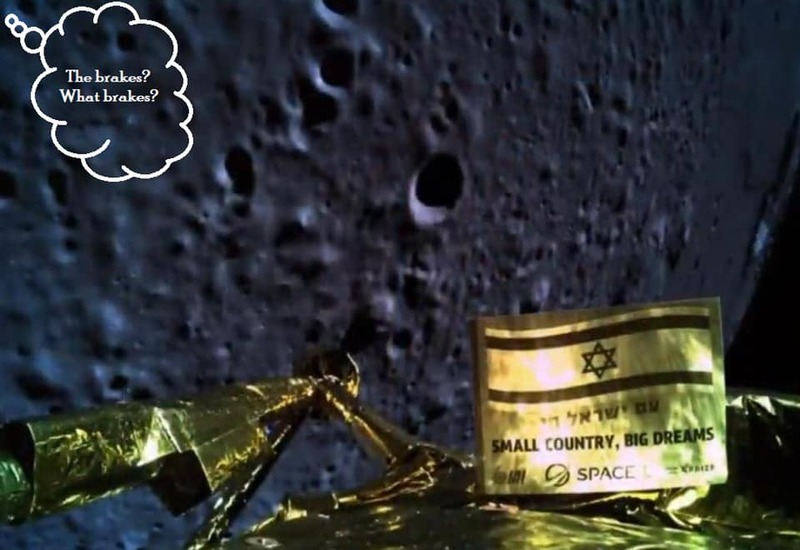 Israel put the Israeli flag on the moon….All over the moon. The UN has called an emergency meeting of the General Assembly to condemn Israel for littering the moon. We got to the Moon but didn’t send EL AL pilot’s so it wasn’t a great landing…. Lesson learned: Don’t take selfies while driving! Here’s another: Make aliyah, not yaridah. did some check for chumetz on it?